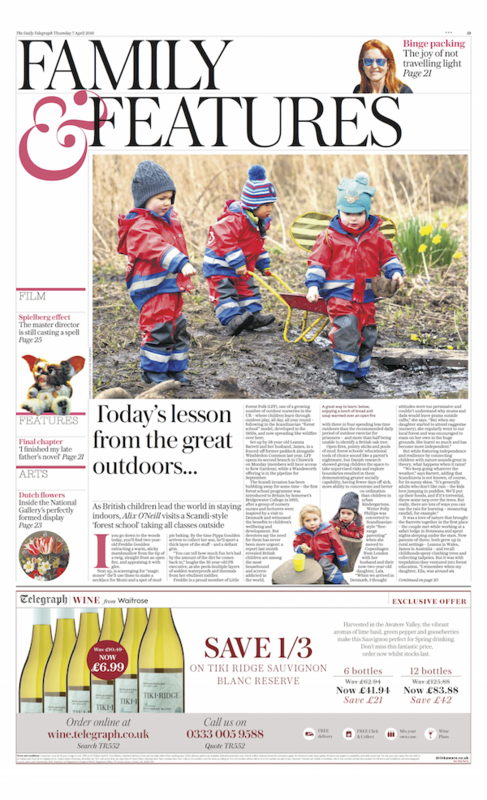 In the news - Little Forest Folk is in the The Telegraph! It's been such an amazing journey from dreaming about creating an incredible, inspiring, active, fascinating and fun experience for my own children to now running a completely full and even oversubscribed Wimbledon forest setting. With our second setting opening in Chiswick next week and more London settings in the pipeline for the future it is wonderful to see the support we have for giving children the childhood they deserve. Being interviewed by the lovely Alix from The Telegraph and showing off our magical setting and our lovely children was a really special moment for us. We are so proud of our children, our teams, our movement and Little Forest Folk in general. Chiswick - Happy Birthday Chiswick! Older PostLittle Forest Folk Chiswick is opening!